Updated at 0830 GMT (4:30 a.m. EDT) with Kanopus-V-IK separation. Updated at 1600 GMT (11 a.m. EDT) with mission success. The Soyuz-2.1a rocket fired into space at 0636:49 GMT (2:36:49 a.m. EDT; 12:36:49 p.m. Kazakh time) from Launch Pad No. 31 at the Baikonur Cosmodome in Kazakhstan. Heading north from the Central Asia space base, the Soyuz shed its four strap-on rocket engines less than two minutes after liftoff, followed by the release of the rocket’s core stage and bulbous nose fairing. The Soyuz third stage’s RD-0110 engine shut down just before the nine-minute point of the mission, according to updates provided by a live webcast of the launch. A Fregat upper stage ignited for the first of seven main engine firings to send the launcher’s 73 satellite passengers into three distinct orbits several hundred miles above Earth. A live video stream of the flight provided by the Russian state space corporation — Roscosmos — ended around 10 minutes after liftoff. The Fregat engine was programmed to fire seven times, climbing into orbit to release a Russian Earth observation satellite about one hour after liftoff, then moving to a higher altitude for separation of 24 more spacecraft. Then the Fregat descended for deployment of 48 Earth-imaging satellites owned by Planet, a San Francisco-based company. The final Fregat engine firing steered the stage back through Earth’s atmosphere, where it burned up over the Indian Ocean nearly nine hours after liftoff. Roscosmos confirmed all the maneuvers occurred according to plan, and announced the “complicated” flight was a complete success. Friday’s launch deployed modified CubeSats from five California-based companies, two student-built German satellites, two Norwegian maritime tracking and communications satellites, a commercial Japanese microsatellite to map Arctic sea ice, two Earth-imaging CubeSats for Roscosmos, and three nanosatellites developed by Russian students. The largest payload launched Friday is named Kanopus-V-IK, a Russian government satellite equipped with Earth-viewing cameras to map the planet in color to aid emergency responders, crop managers and environmental scientists. The Kanopus-V-IK satellite, which weighs more than a half-ton (approximately 500 kilograms) and is owned by Roscosmos, also carries an infrared sensor to detect and localize the source of wildfires. Roscosmos confirmed on Twitter that the Kanopus-V-IK satellite separated from the Fregat upper stage as scheduled during Friday’s launch. The other 72 satellites stowed aboard the Soyuz rocket ranged from shoebox- and briefcase-sized CubeSats up to 265 pounds (120 kilograms). Planet, owner of more than 100 Dove CubeSats currently looking down on Earth, added 48 more spacecraft to its fleet with Friday’s launch to help the company collect imagery to produce daily global maps. In an updated posted to its website, Planet said the newest Doves launched into a sun-synchronous orbit that crosses the equator around 11:30 a.m. local time as the satellites circle the planet every hour-and-a-half. That is about two hours after the company’s other sun-synchronous satellites. The Doves will be operational in a couple of months, Planet said, after spreading out in orbit through a process called differential drag, in which the CubeSats are pointed to change their orbits with the help of aerodynamic pressure from the rarefied atmosphere in low Earth orbit. 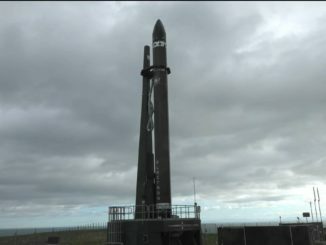 Eight Lemur CubeSats from Spire Global, another San Francisco company, blasted off in support of weather forecasters, deriving humidity and temperature profiles by measuring GPS navigation signals that pass through Earth’s atmosphere. With Friday’s launch, Spire has sent 49 CubeSats into orbit, but not all of them remain operational. A competitor of Spire, GeoOptics of Pasadena, California, launched three more of its CICERO CubeSats for commercial weather forecasting, using the same GPS radio occultation technique as the Lemur satellites. GeoOptics launched its first spacecraft last month on an Indian Polar Satellite Launch Vehicle. Two Landmapper-BC CubeSats manufactured and owned by Astro Digital, formerly Aquila Space, on Friday’s Soyuz flight are the first members of another commercial Earth-imaging constellation. The Landmapper-BC spacecraft, also known as Corvus-BC1 and Corvus-BC2, each weigh around 22 pounds (10 kilograms) and have color and infrared cameras for wide-area imaging. 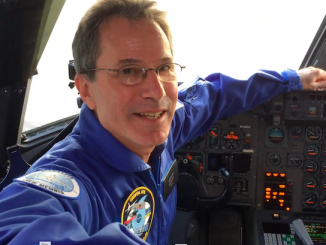 The other U.S. company with a payload on Friday’s flight was Tyvak, a launch services broker and small satellite-builder in Southern California. Tyvak’s experimental 11-pound (5-kilogram) NanoACE CubeSat will test an attitude control system, command and data handling system, guidance, navigation and control software and actuators, and visible and infrared cameras. German university students built two satellites for Friday’s launch, including the 265-pound (120-kilogram) Flying Laptop spacecraft from the University of Stuttgart’s Institute of Space Systems. The Flying Laptop satellite will give students experience in mission operations, take pictures of Earth and look for near-Earth asteroids, validate the performance of a reconfigurable on-board computer, and demonstrate a high-speed optical infrared communications link with a German ground station during its planned two-year mission. “In addition to the innovative OBC (on-board computer) concept, which is used as the payload on-board computer, several other new technologies are part of the system and will be verified for the first time under space conditions, and in addition, the mission carries out scientific Earth observation objectives using a multispectral camera and receives ship signals with an AIS receiver,” said Sabine Klinkner, project director for the Flying Laptop mission at the University of Stuttgart. She said the Flying Laptop project was funded by the university’s small satellite program, the German state of Baden-Württemberg, and with support from the regional space industry. 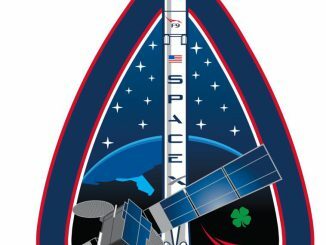 The German Aerospace Center, DLR, paid for the satellite’s launch with federal government funds, Klinkner wrote in an email to Spaceflight Now. TechnoSat from the Technical University of Berlin will test new nanosatellite components, including a camera, a new reaction wheel system, a star tracker, a transmitter, a fluid dynamic actuator, and commercial laser retro-reflectors. Shaped like an octagonal drum, the TechnoSat satellite weighs around 40 pounds (nearly 20 kilograms) at launch and is funded by the German Federal Ministry for Economic Affairs and Energy. An experiment sponsored by DLR aboard TechnoSat will detect strikes of tiny space debris particles on the satellite’s solar panels to help scientists better understand the density of space junk in low Earth orbit too small to be tracked by existing radars. Two Norwegian-owned, Canadian-built microsatellites headed into orbit to track maritime ship traffic. The briefcase-sized Norsat 1 spacecraft, billed as Norway’s first scientific satellite, also carries an instrument developed by the Physical Meteorological Observatory in Switzerland to measure fluctuations in solar radiation arriving at Earth, a key input into Earth’s climate that will help scientists better sort human contributions to climate change. A Langmuir probe on Norsat 1 will study the plasma environment in low Earth orbit during the satellite’s planned three-year mission. The Norwegian Space Center — owner of the Norsat satellites — rescheduled the launch of Norsat 1 after a faulty attachment bracket kept the craft off a Soyuz rocket flight in April 2016. Norsat 1 was already at the Soyuz launch base in French Guiana when engineers decided it would be unsafe to add the spacecraft to the mission, which took off without Norsat 1 with a large European environmental satellite. In addition to its vessel detection receiver, Norsat 2 has a VHF data exchange radio to help extend the range of ship-to-shore communications. Both Norsats were built by the University of Toronto Institute for Aerospace Studies Space Flight Laboratory. The 95-pound (43-kilogram) WNISAT 1R satellite developed by two Japanese companies — Weathernews and Axelspace — is kicking off a campaign to observe sea ice in the Arctic, typhoons and volcanic ash plumes. Five Russian CubeSats also lifted off Friday. Two of the Russian secondary passengers will take off on Earth-observing missions for Roscosmos, and three others come from Russian universities, including a joint project with Ecuador’s Universidad Tecnológica Equinoccial. 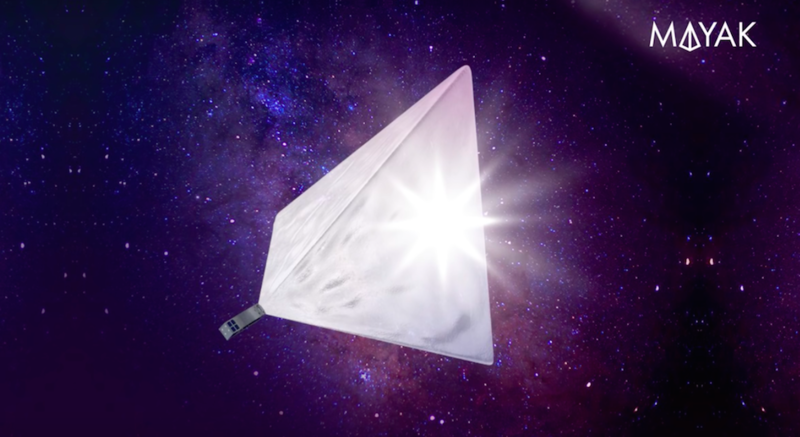 The designers of one of the Russian CubeSats, called Mayak, say it could become one of the brightest objects in the night sky. The crowd-funded satellite, developed at the Moscow Polytechnic University, will unfurl a 65-square-foot (6-square-meter) pyramid-shaped solar reflector covered in an “air-thin” metallic film. If the experiment works, the tiny satellite might be the brighter than the International Space Station or Venus as it sails overhead. Mayak’s team says the CubeSat will test out a new aerodynamic braking device that could help clear space debris from orbit. 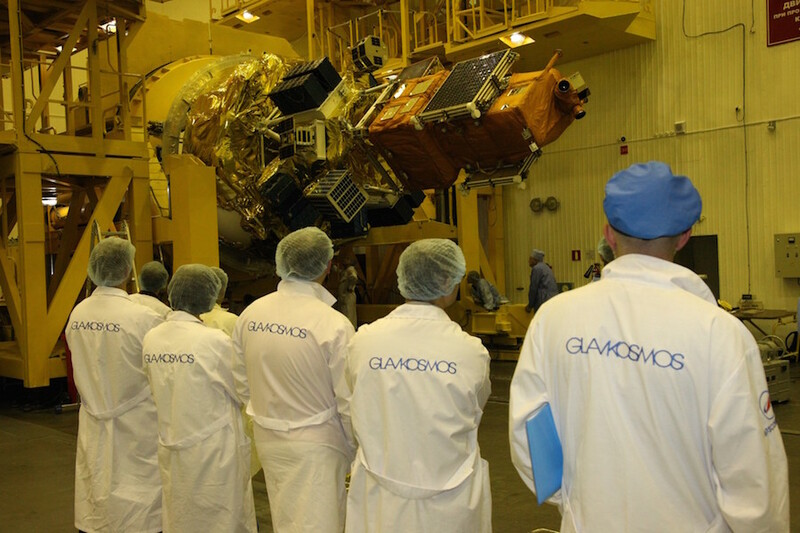 Friday’s rideshare mission was arranged by Glavkosmos, a subsidiary of Roscosmos. The Dutch company Innovative Solutions in Space accommodated most of the CubeSat payloads inside QuadPack deployers. Seattle-based Spaceflight Services booked space for some of the U.S.-owned CubeSats. Glavkosmos aims to sell more commercial Soyuz medium-lift missions from Russian-operated launch sites. Arianespace works with Glavkosmos on commercial Soyuz launches from the Guiana Space Center in South America. Glavkosmos says it acts as a prime contract integrator for all Russian companies involved in Soyuz missions launched from the tropical spaceport in French Guiana.